We are on a beautiful, very remote island off the coast of South Carolina this week. I'm soaking up the sun, sand, and waves taking in God's amazing beauty. I am so thankful to be here with my husband's family! Prior to this beach trip, I had a few items that I was busy sewing up. 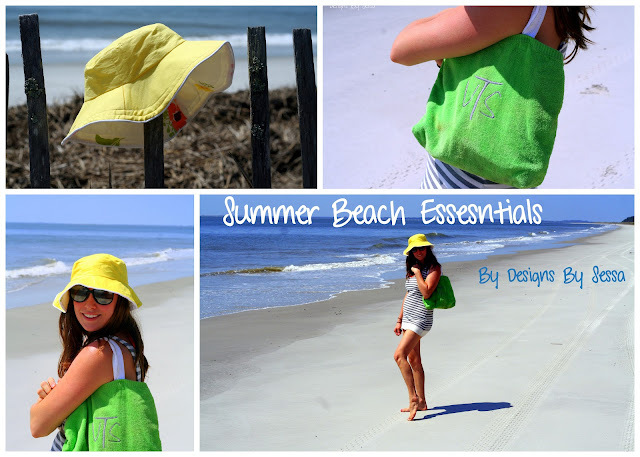 A sun hat, a cover up, and a mini tote bag! I thought I'd share a bit about each this week, since the only thing I have to do this week is, well....nothing, it's the perfect opportunity for some blogging.